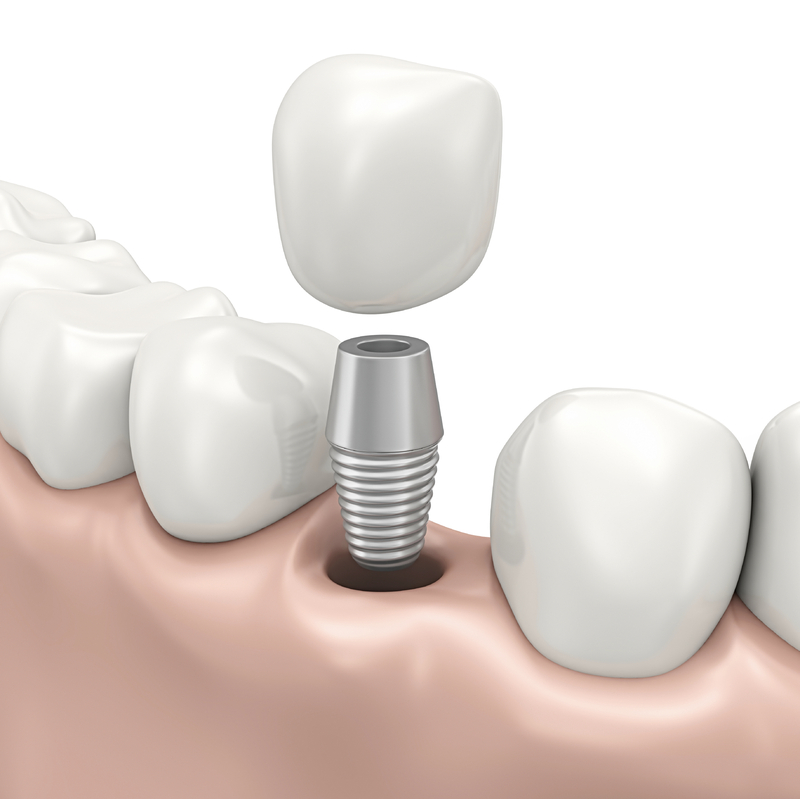 Dental implants have revolutionized the way dentists replace missing teeth. Implants provide stability to dentures, bridges, and crowns, giving those unhappy with their removable restorations a permanent comfortable solution. At Advanced Family Dentistry, we provide implant-supported restorations to patients looking for reliable teeth replacement treatment in Ankeny. If you find that your removable dentures and partials require too much maintenance, contact our practice today to learn more about dental implant-supported restorations. Dental implants are made up of three parts: a post, an abutment, and a crown. First, titanium posts are surgically implanted into the jawbone to act in place of the original tooth root. Typically, patients need to allow several weeks for the tissue to heal around the post. At Advanced Family Dentistry, we refer you to an oral surgeon for this part of the process. Temporary crowns or teeth are attached at this stage while the posts heal and the permanent appliances get custom made. Once the area around the implant posts heal and the posts have fused to the jawbone, the second part of the implant procedure is to restore the permanent tooth, bridge, or denture. Once the custom-made tooth replacements are affixed to the implant, you will generally only need to be seen for the occasional tightening or maintenance from normal use. Proper post-treatment care will be provided to ensure your smile restoration is complete and successful. Another beneficial aspect of dental implants is that dentures can be custom retrofitted to fit implant posts for patients who had removable dentures or bridges already. Those with removable dentures and bridges often dislike the messy adhesives, the loose fit causing slippage, and the too-frequent maintenance visits that are required. But the biggest drawback to removable dental restorations is the negative effect it has on the jawbone. Without a tooth or implant embedded, the jaw starts to deteriorate. This leads to further oral and systemic health problems in the future. Our Ankeny implant restoration providers wish to provide a solution that not only results in a beautiful smile but restores long-term oral health. You can rest assured that dental implants will hold the restorations in place comfortably while allowing you to continue to enjoy favorite foods and daily activities with ease. Contact Us in Ankeny Today! A simple, yet permanent solution is what most patients want when they need to fill in the gaps of their smile. At Advanced Family Dentistry, our doctors aim to find the most effective treatment path with your implant-aided dentures and tooth restorations. If you live in Ankeny, Bondurant, or Polk City and are curious about implant restorations, give our office a call today!